As to be expected, K-Pop's growth and popularity has only speeding up not slowing down in the last few months. Stars such as the group Girls' Generation, Electroboyz, and F(x) have flourished within the K-Pop industry due to recent successful performances. Girls' Generation is heating up! The group appeared on the June 22nd edition of the very popular Japanese music program, 'MUSIC STATION', performing their track "Paparazzi." Alongside bands such as Linkin Park, KAT-TUN, AKB48, Maeda Atsuko, and Kuwata, the girls demonstrated their tremendous talent during the episode. The group has also recently released a "gold" dance version of "Paparazzi" PV. The "Paparazzi" PV is the group's largest-scale music video yet. Over 30,000 lightbulbs, 300 cast members, and 120 staff members are included on the set of this new hit. The track will be officially released on June 27th. Electroboyz are also shining in K-pop with the release of the track "Imma Take You Home." The song went public on June 18th in celebration of the 2nd anniversary of the group. Extra member clips of the music video have also now been released. The original music video heavily focused on the boys as gentlemen, while the new clips attempt to show their "bad boy" side. F(x) is having a great month in K-Pop when they swept the crowd off their feet during their performance on KBS' 'Music Bank'. It was a tough competition with other talented groups performing, such as After School with their big comeback performance of "Flashback". Wonder Girls and F(x) faced off to be on this week's 'K-Chart" but in the end it was F(x) to steal the spotlight with their performance of "Electric Shock". Anyone who has spent time in Asia knows that one of the greatest, most memorable parts of Asia is the food. Often times the excellence of Asian food is lost in the varieties served in Western countries. If you are a person who loves gourmet and Asian food, the food festivals and expos throughout Asia are where you want to be this summer. Not only will you get to enjoy the taste of exceptionally made foods, you will also be able to watch expert chefs teach modern as well as traditional techniques and experience the rich tradition of another culture. 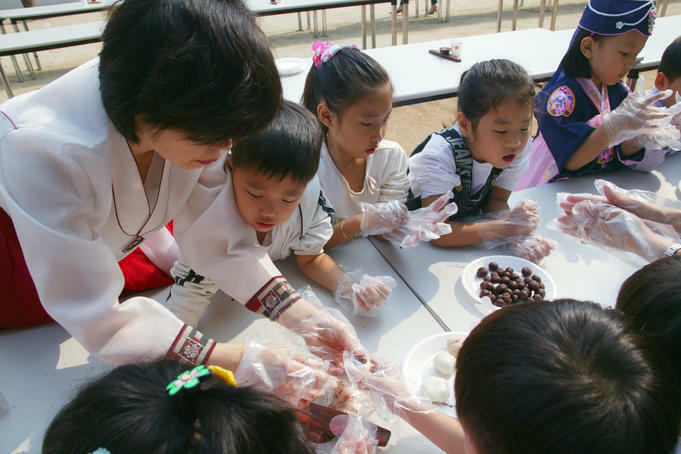 The Seoul Food Festival in August provides a sneak peek at what Asian royalty throughout history ate for their meals. 5,000 year old recipes are cooked up along the streets of Seoul, allowing you to sample the royal favorites in addition to the modern Korean food favorites. Events, such as cooking demonstrations and free tastings, are offered throughout the city during this festival. During the night, head to the sky lounge on the 18th floor of the Artnouveau City Seoul, to enjoy the fine selection of wines and liquors before heading downtown to one of Seoul's popular nightclubs. Although it is often associated with places like Germany or Australia, China very much enjoys beer as well. 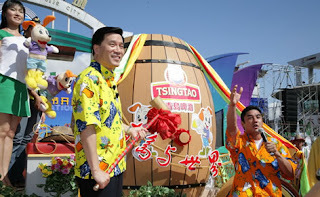 Witness this passion for yourself at the Qingdao International Beer Festival from August 14-29. Breweries from all over the world, including Heineken and Bittberger, show up to give everyone a taste of their product. Delicious food and karaoke are provided in addition to the bubbly drink, making it a great time for participants as well as the Breweries. 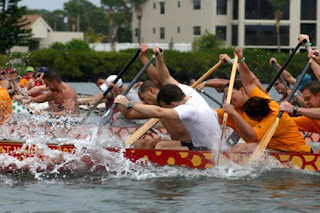 Excitement is growing in China as the Annual Dragon Boat Festival is approaching. This festival is a lunar holiday, occurring on the fifth day of the fifth lunar month, this year falling on June 10 and lasting until June 16. It is unique and special in the way that it is one of the festivals with the longest and most significant history. The purpose of the celebration is to protect people from evil and disease for the remainder of the year. In order to encourage this protection, practices such as hanging healthy herbs on the front door, drinking and eating nutritious foods and concoctions, and displaying pictures of Chung Kuei, evil's enemy, are performed by the Chinese people. Standing an egg of it's end at exactly 12 pm is another practice which is meant to make the following year a very lucky one. The Dragon Boat Festival is celebrated with races in boats shaped like dragons. The boat races are custom to this festival because in 277 B.C. 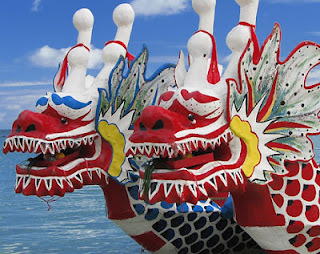 patriotic poet, Chu Yuan, drowned on the fifth day of the fifth month, and the boat races are used to represent the attempts to rescue their hero. Another way to honor and celebrate Chu Yuan's life is to throw bamboo leaves filled with cooked rice into the water. What products are hot now in Asia for beauty and appearance differs in many ways from what American women are adding to their carts at the local department store beauty aisles and drugstores. One evident difference between what is trendy in Asia versus America is that skin-lightening cream is immensely popular among Asian women, while many Americans will do anything to darken their skin. In addition to the creams, beauty counters across Asia sell skin-lightening makeup, toners, masks, powders and more. These skin lightening products can be compared to what the United States would refer to as skin-brightening creams, for example Clinique's Even Better line. In Asia, a place where studies have shown the average woman has up to seven steps in her skin care routine, BB cream has become popular. Its popularity derives from the cream's purpose of providing a tinted moisturizer, sunscreen, foundation, and concealer all in one. This is so desirable to Asian women because it is a fairly unique and new concept and dramatically shortens their lengthy skin care routines. Well-known brands in America, such as Lancome, Estee Lauder, Clinique, and Maybelline, also feature products similar to BB cream. Another product considered a must-have by Asian women is lengthening mascara. Although it is popular among American women, it is especially important to Asian women because of their heavier upper eyelid. Often times, the heavy upper lid makes the lashes appear shorter than they are because the eyelid hangs over the eyelashes, which partially hides them. These mascaras help to limit the shortening effects of the heavier lid by lengthening and volumizing lashes. 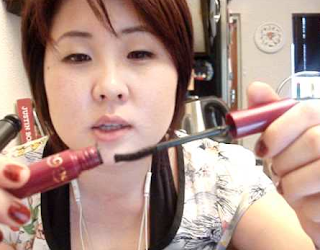 One of the more popular brands of mascara is Fiberwig, which claims to protect lashes from oil, sweat, and humidity. It calls itself paint-on false lashes and is now available in the United States in Sephora.